Umi no Ie: Enjoy oceanfront dining! Umi no Ie’s are crowded in summer. The beach houses are well known as the thing that reminds us of summer. And almost always it is built on the beach. In Niigata prefecture or Ishikawa prefecture, it is also called “Hamajaya”. You can go there when you wanted to have a break in a house, or felt hungry and wanted to eat something during playing on the beach. 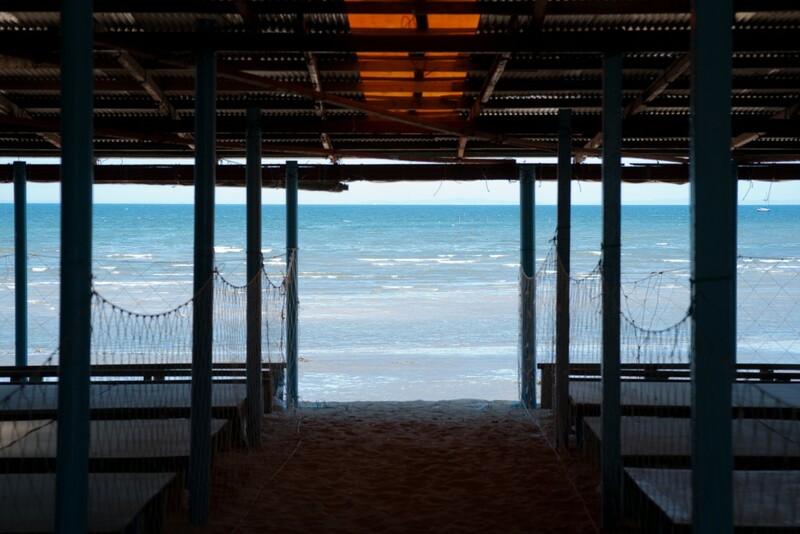 It has a dressing room, a shower, and so on, and indispensable on the beach. But the dressing room, the resting space, and the shower are not always free, they usually cost 500 yen to 2,000 yen per person a day. For most of the Sea Houses, you can go there only to eat and drink something. Because its business period is short, specialization in Sea House is difficult, therefore the owners of local inns or restaurants (usually open during nighttime only) run it, too. How much does a Sea House earn a day? Assuming 100 customers a day and they paid 2,000yen each, 200,000yen a day. 12 million yen in two months. Since the business period is short, let me calculate the sundry expenses at relatively high 85% though the ideal number is 60 to 65%, it becomes 1.8 million yen. The different points of Sea Houses from ordinary restaurants are that most of the owners are managing an inn or a restaurant in their local area, and that sometimes the investment cannot recover due to the cool summer or the typhoon. Although it becomes popular in summer, there are specific demerits in summer for owners. And also a Sea House may be destroyed by typhoon! Going into the red is worse than no profit, isn’t it? 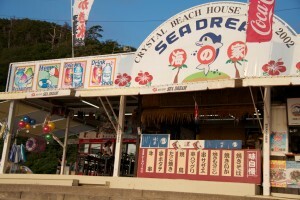 Management of the Sea House depends a lot on the weather, and we can say that it is highrisk business. Concerning Sea Houses, the lowest price for main items are determined. For example, the items sold in the Sea House like a 350ml can of beer is 400yen or more, draft beer 600yen or more, yakisoba 600yen or more, bottled juice 200yen or more, and so on. These main items cannot discount to attract customers, so you should create some original item to draw their attention. Recommended Sea House in 2015! Steak curry(go-go curry), yakisoba(otafuku), black pepper miso ramen(Yokohama ie kei ramen Konshinya), etc. There are so much popular menus! Plastic food samples | So amazing and lifelike!